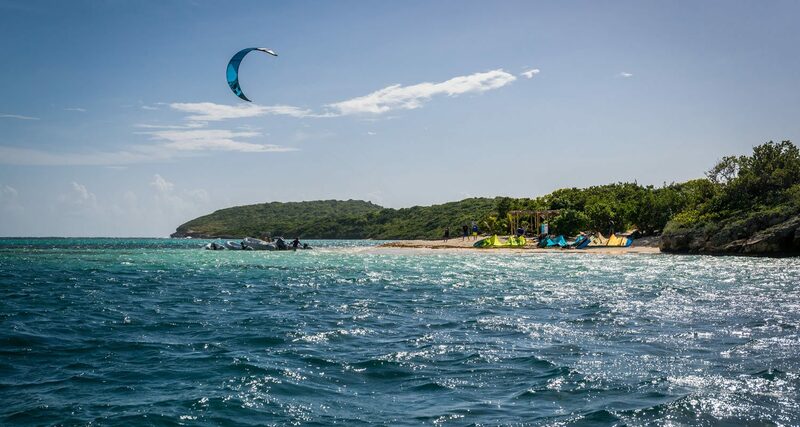 Kitesurfing lesson for kids in Antigua with 40knots, why and how. 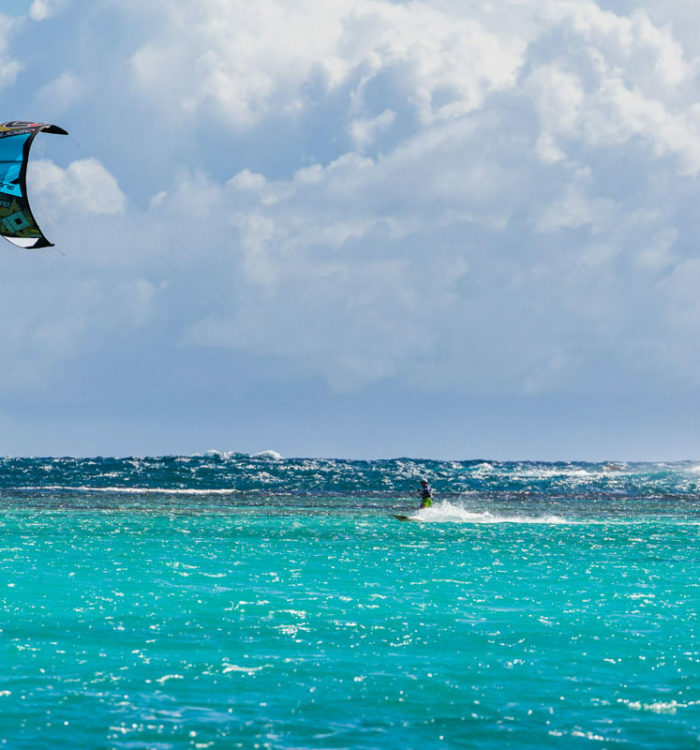 This article is addressed to parents wondering if kitesurfing is an activity suitable for their children. As the sport grow in popularity, and more and more kiters are becoming parents, we realised that we had a lot to say about teaching to children. In over 15 years of teaching experience we developed what we think is the safest, fastest and most fun program for introducing children to kitesurfing. We don’t have a fixed schedule of each lesson as every kid is different from one other; we’ll progress through the program as fast as they feel like, helping them overtake their fears and uncertainties, without pushing them against their will. We know well that pushing them to hard will potentially cause an aversion to the sport and sometimes is better to wait until they ask to learn how to kite, rather than force them to kite. The best way to figure out if your kids are old enough to try is to enrol in our 1 hour test lesson. 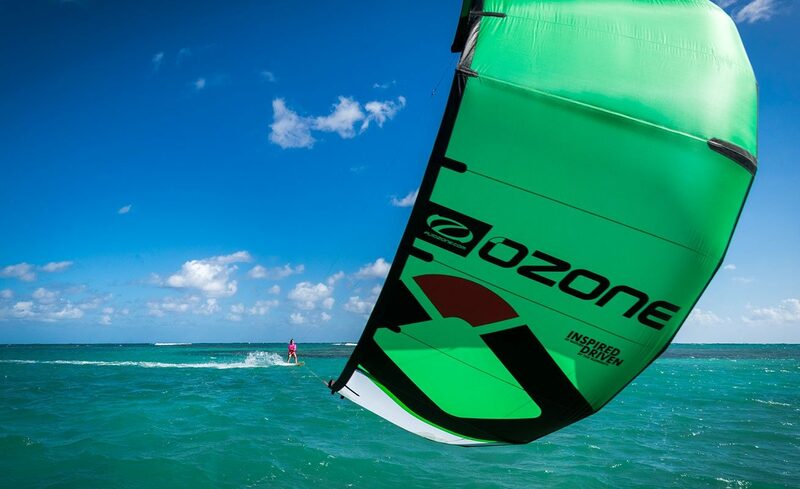 The first approach to the sport is with the use of a trainer kite, a sail designed to fly like a kitesurfing power kite without the „power“. This mean that your children will build up their confidence with the flying techniques without the fear of getting pulled away by the kite. We’ll use this sail to let them understand why a kite can generate power and how to handle it. We always compare the exercise they are doing with the final purpose of using the kite power to be dragged towards one direction. The final exercise will prove their understanding by getting dragged in the shallow waters of Green island, they will quickly be able to define the speed and the direction of their dragging. Completed the trainer kite part we’ll introduce to the inflatable kite that they’ll use in the deeper water. The rigging and safety features are part of this lesson too. We’ll let the kids handle the sail, pump it, connect the lines: we’ll make sure that they rig their own sail. Being responsible of their equipment, learning how it works and work together with other kids its an important part of the lesson. The first power kite flying will be done by sitting on the side of the instructor’s dinghy, with the instructor at their side. This is the peculiarity of our teaching method. 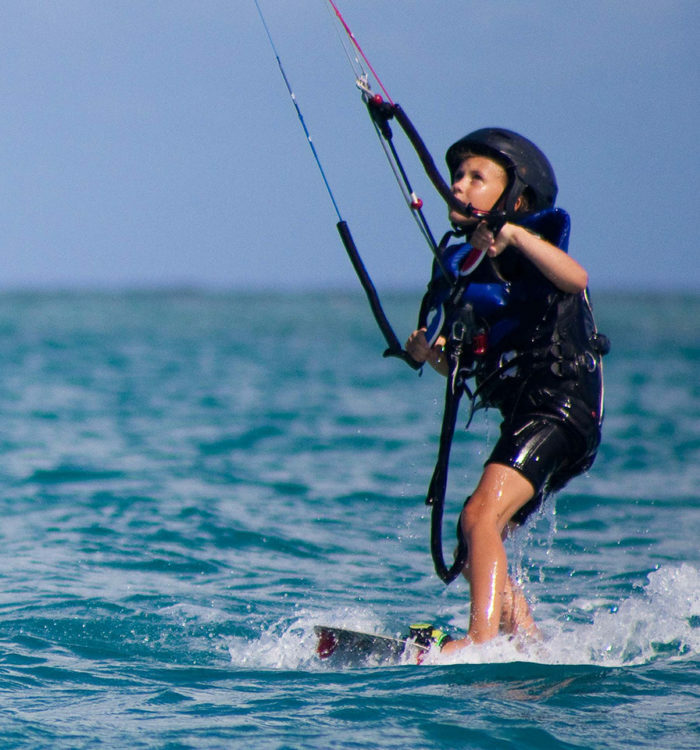 Your kids will never be close to obstacles, such as shore, boats and other riders, while they are learning how to kitesurf. 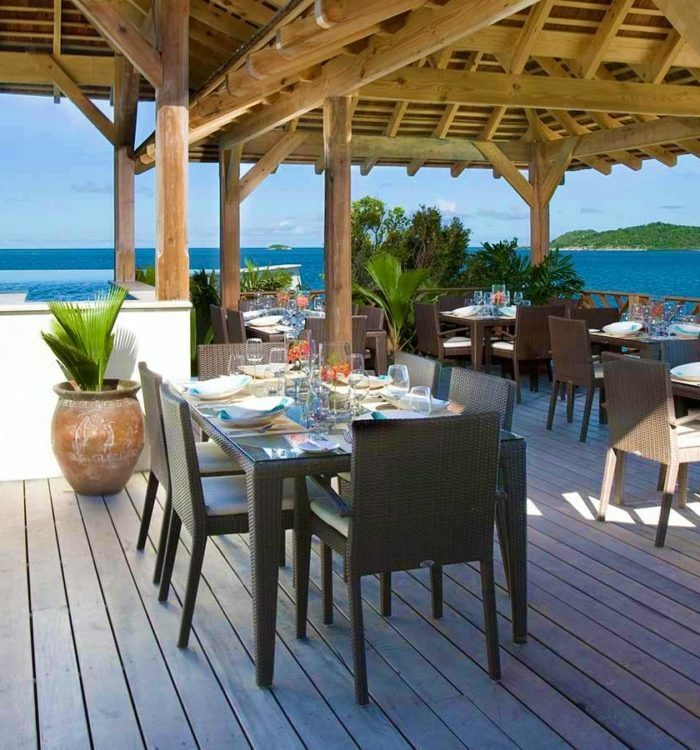 They will be in the middle of Nonsuch Bay, with deep and safe waters around, and the instructor always at their side. We use inflatable dinghies, with no hard or sharp edges and small engines equipped with propeller protection. 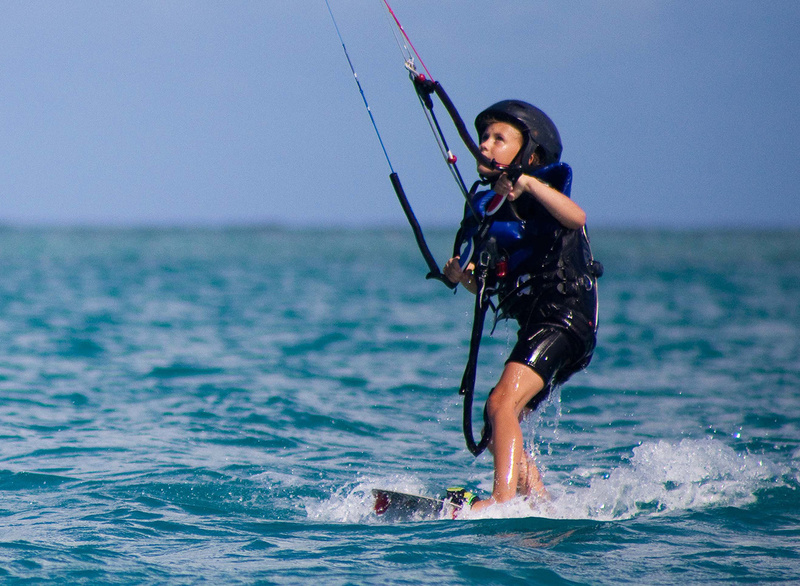 As your kids’s confidence grows, they’ll get in the water and continue with specific drills designed to increase their kite handling confidence. 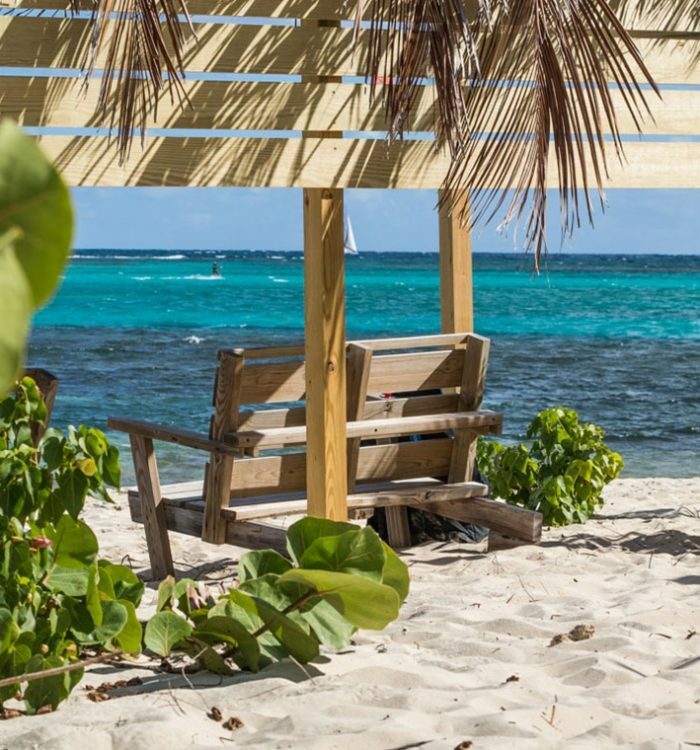 This exercises includes body-dragging down wind, cross wind and upwind, one hand steering, crashing and relaunching, activating the safety features. Handling the kite in the water for the first time can be frightening for some kids; in that case the instructor will be in the water together with your kid or two kids will be in the water together as a team. The steps towards the first board handling are usually very quickly, and riding comes natural for the younger ones as their balance is much stronger than us adults. They will soon learn how to control the riding speed and course. The last topic will be launching and landing from the beach. Being this the sole situation that brings your children close to obstacles (the shore), one of our trainers will always provide assistance. 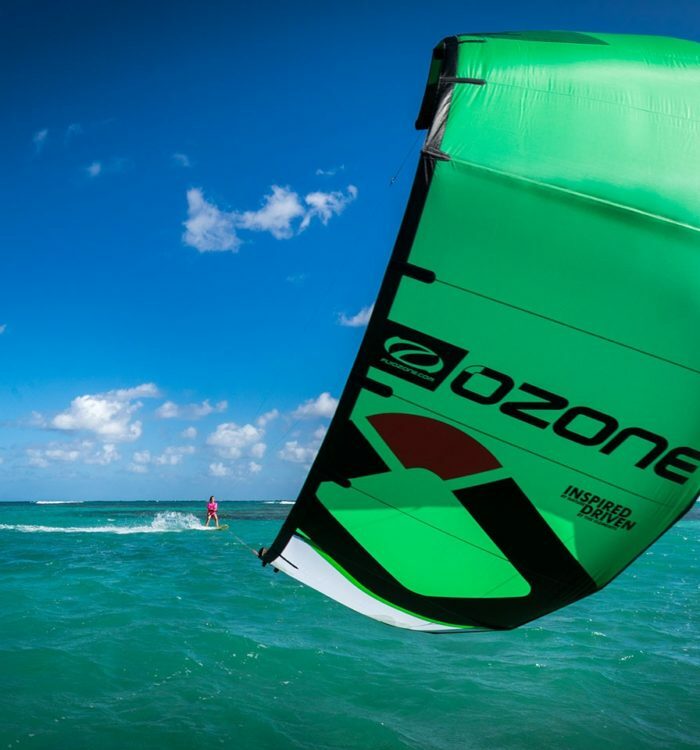 The equipment that we chose for the kids lessons are one of the reason to our success: we use the UNO and the REO models from Ozone Kites, the XENON RAYO board and the UNDERWAVE ATLANTIS seat harness. The UNO comes in size 2.5m, 4m and 6m; its a magnificent sail. Very light in its construction, delivering great performance even in light breezes. The relaunching is extremely easy and the sail is very forgiving and easy to fly. It’s simply a great kite for kids. The REO is the model that we use in lighter wind conditions, slightly more powerful and react full. It’s the sail that they’ll fall in love with. 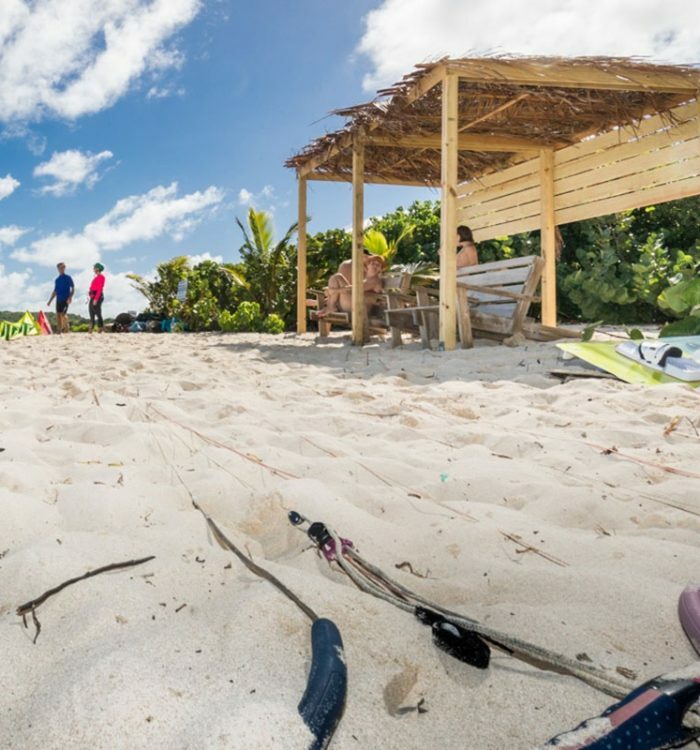 It’s on the market as a wave kite, but don’t be mistaken, the characteristic that are making the REO the best wave kite ever are the same that your kids will love: it’s fast, easy to relaunch and very light on the bar. Both kite models use the same control system, a clean and safe design with a bar that can easily be reached even by very little kids. The XENON RAYO is a flexible and light-weight board, ideal for the lighter ones. Its straight outline and almost total absence of rocker are crucial to the ease of water starting and riding it upwind. At last, a note regarding the harness that we use for teaching; we strongly believe that the only harness suitable for beginners is the seating one. Being hooked to the kite from a lower point, compared to a waist harness, will help you getting up on board, will help you keeping a more correct and comfortable position while riding but most importantly, will save your ribs from a potential damage in case of a crash. Waist harnesses, being tied right on top of your ribs, are not forgiving in case of a sudden crash. UNDERWAVE, with its ATLANTIS SEAT HARNESS, gives the best support and protection an it’s by far the most comfortable seat harness that we ever tried. On top of it, it comes in sizes as small as XXS. Sign up your kid for a kite lesson at 40knots and get a kite-buddy for life!